Please do not borrow or reproduce our photos without permission. A photo book for sale at Blurb! Pearl totally enjoyed her first snow experience!! Click here to add ext. 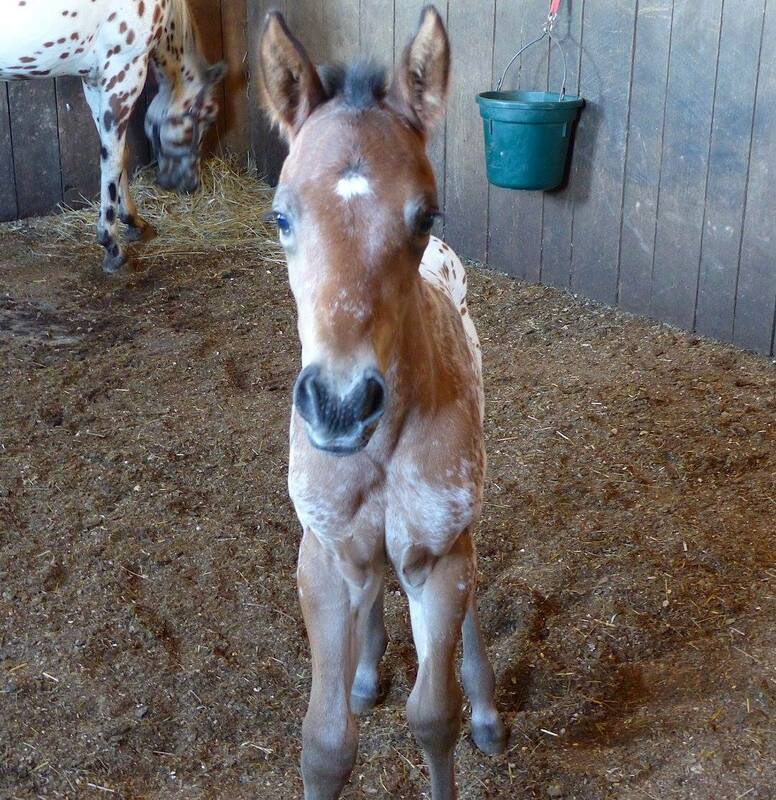 x t.Here's a video of what I teach our foals before they leave the farm. 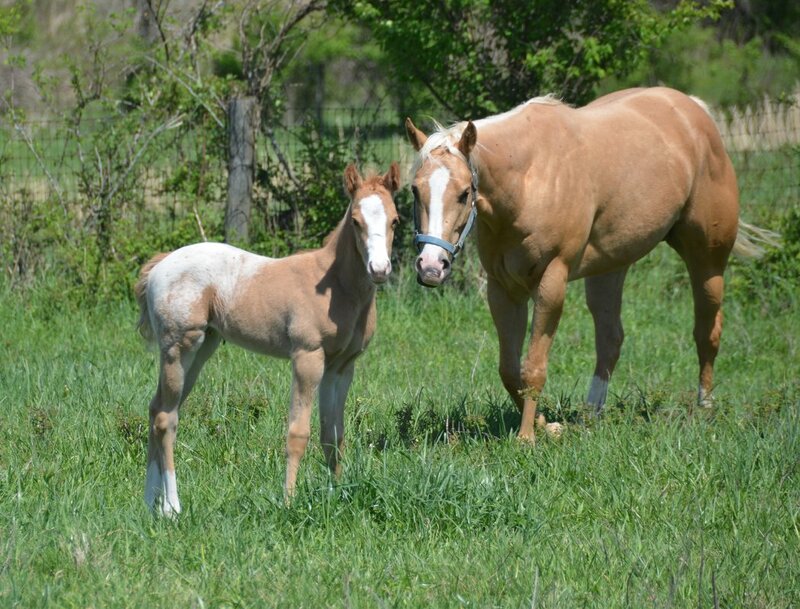 Our mares have presented us with the 2018 foal crop, and all of them will be offered for sale. 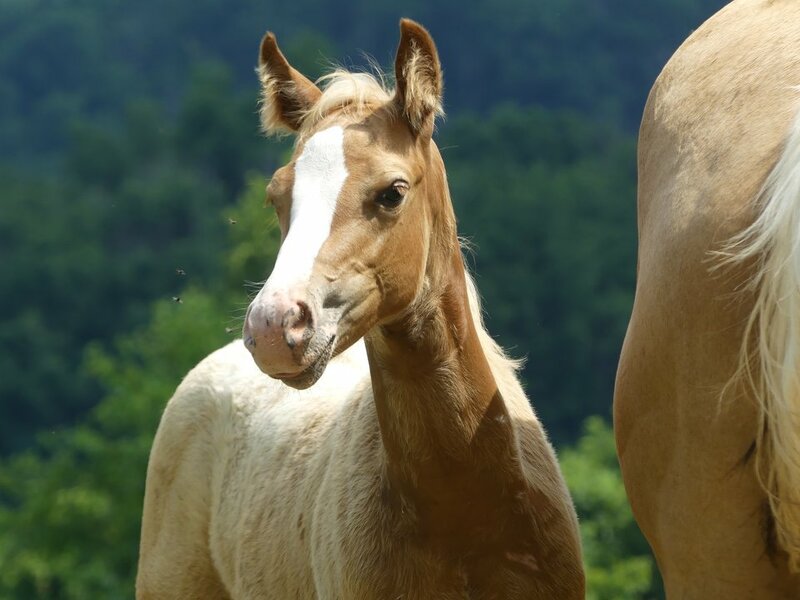 Please visit our 2018 foaling barn page to see them . 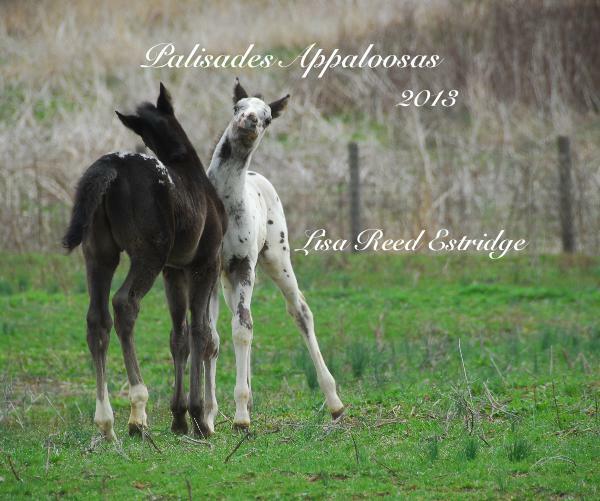 Check out their albums on our Face Book page, Palisades Appaloosas! 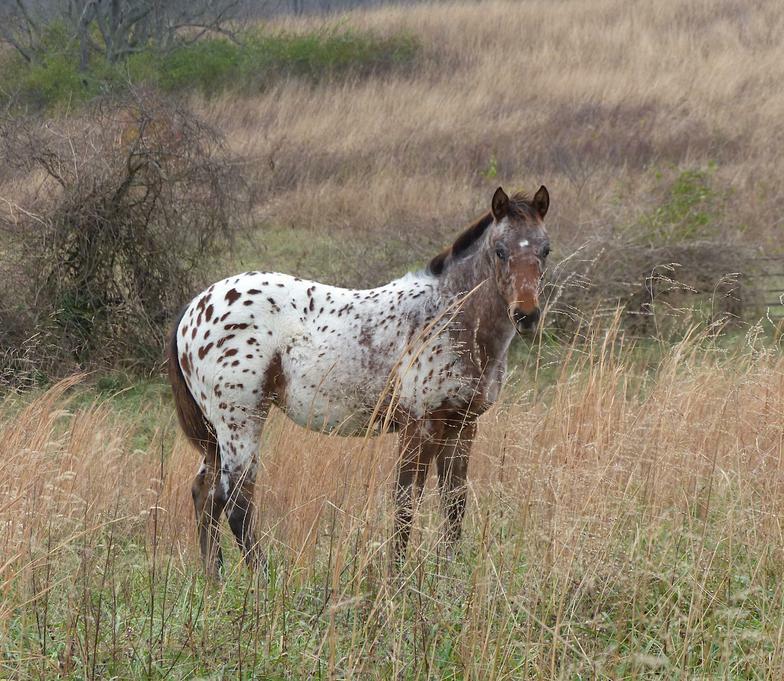 This pretty filly is as smart as she is colorful. 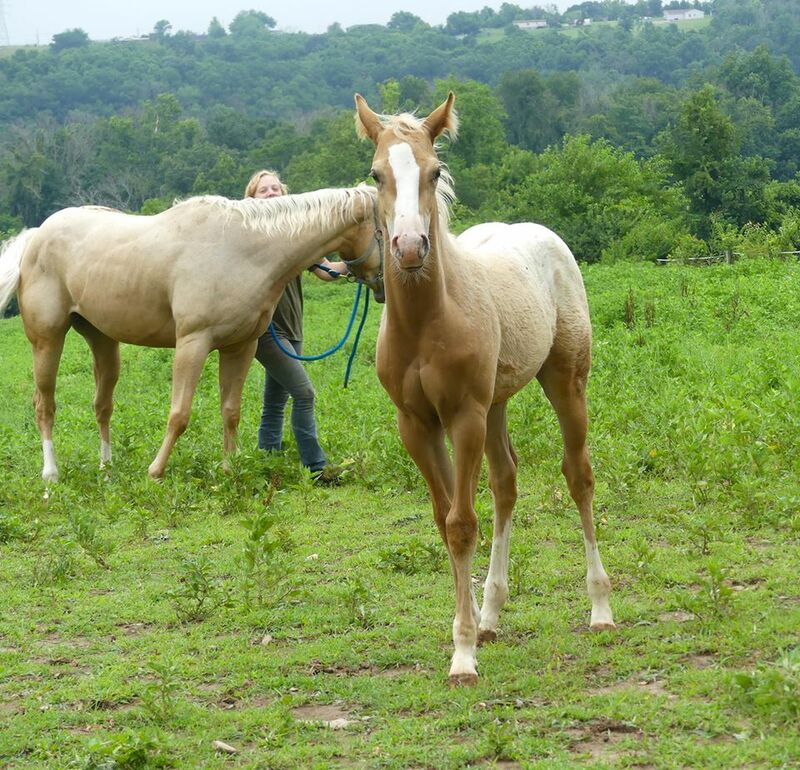 She has a pedigree of hall of fame APHC sires and plenty of athletic talent in her parents and grandparents. 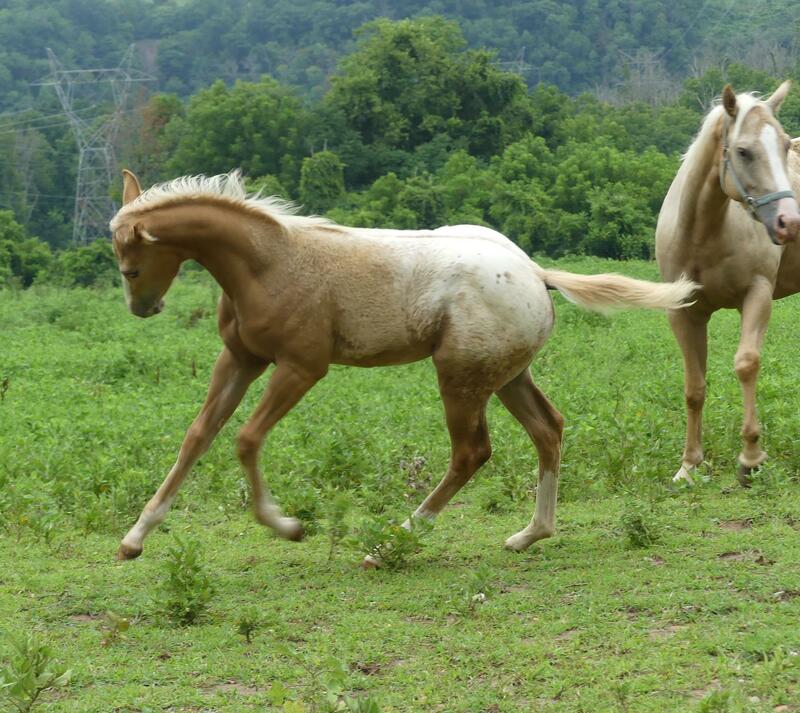 Bee was reserved right at birth, and unexpectedly she is for sale again at weaning. Things happen for a reason, so I bet the right owner for her won't be long in coming. Bee has been handled daily (see video) vaccinated, registered, dewormed and coggins tested. 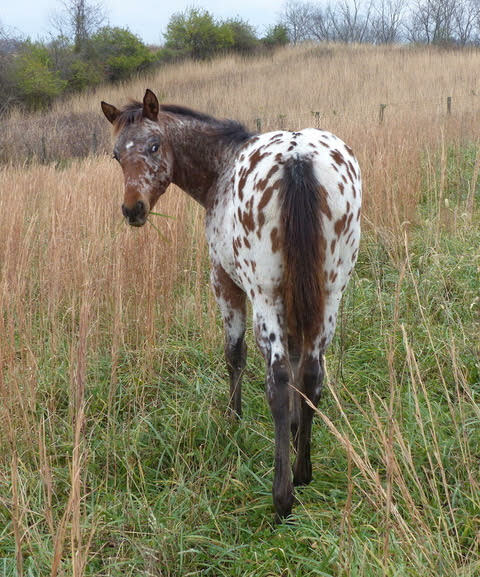 foaled April l4, 2018 This colt is beautiful, playful, athletic, people oriented and outgoing. He is an Imaginate and Dreamfinder Grandson and should finish at l5 hands. Asking $2500 Nugget is SOLD!